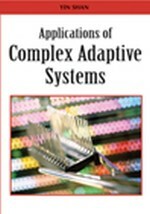 This chapter presents a theory of reputation seen as the result of evaluation spreading in a multi-agent system (MAS). In particular the capacities of agents that spread reputation have been analyzed and decomposed in their atomic parts (pragmatic, memetic, epistemic). For each decision we state and verify several claims, using the methodologies that allowed best to capture the relevant aspects of the theoretical statements. Our major claim is that only when considering agents’ architectures and roles it is possible to find out which regulatory patterns cannot emerge. Reputation is argued to be no exception to this rule. Therefore, in order to interact with each other, agents need evaluation concerning which partner to choose. We will describe how by using various kinds of methodologies that account for theory fragments a coherent picture can be observed and how interdisciplinary can help to account for complex intelligent phenomena among adaptive social systems.